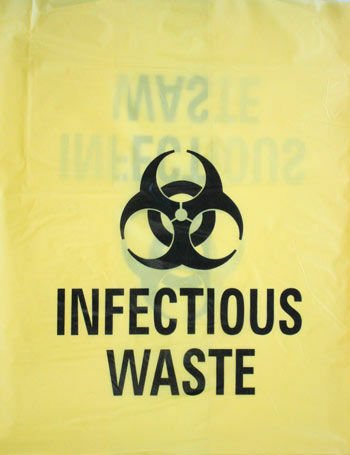 BagCo supplies a wide range of Bio-hazard bags to hospitals and pathologies. Our patented TearZone® Specimen Bag is the best secondary containment in the industry. Please Click Here to learn more about our TearZone™ Specimen Bags. 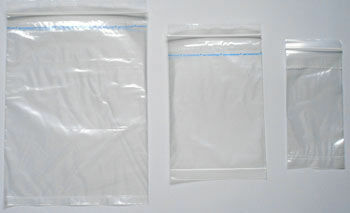 TearZone™ Specimen Bags are available as stock item in different sizes. TearZone Specimen bags are easy to load, safer to dispense, packed in convenient dispenser packs and competitively priced. TearZone Specimen bags can be custom imprinted with your logo. 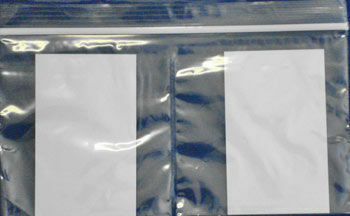 This is a Two-compartment (center divided) ziplock bag ideal for optometrists for dispensing lenses. Available in 188.5 mm L x 100.5mm H; packed in 100 bags in a soft dispenser bag. Available in Yellow colour with Biohazard symbol in LDPE and HDPE in different sizes. Can be customised to your specific requirements. 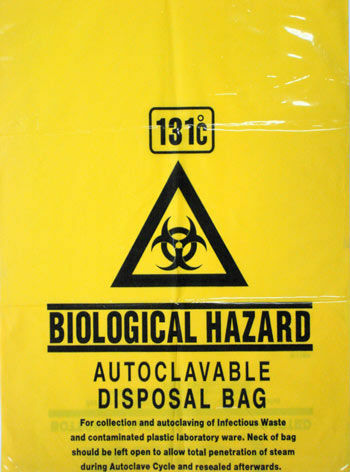 Yellow Biohazard Autoclavable bags are available in 3 sizes for autoclaving of Infectious Waste and contaminated plastic laboratory ware. Recommended maximum temperature of 131 Celsius Degrees. 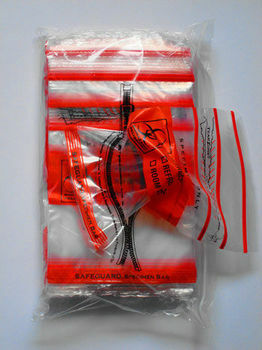 We can customise Autoclavable bags to meet your specific requirements. Packed 200 bags per carton. Other size bags are manufactured based on client’s specific requirements. made from blue low density plastic with perforated tie-back for storing inpatient belongings. 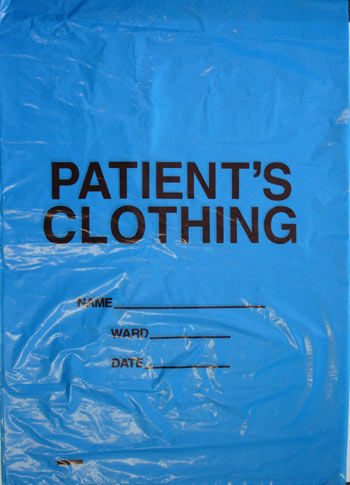 Patient?s Name, Ward and Admission Date can be marked on the bag. Size; 470mm W x 600mm L; Packed 500 Bags/Ctn.